Chilton County Schools works to provide opportunities for students to excel in a number of areas. Clanton and Jemison schools provide engineering classes for kindergarten to 12th through Project Lead the Way classes. Enrollment for the 2018-2019 school year was 7,545. Chilton County Schools serves students in preschool through 12th grade throughout the county. K-12 schools serve Maplesville, Thorsby, Isabella and Verbena, while Jemison and Clanton have a four-school set up. Clanton and Jemison each have an elementary, intermediate, middle and high school. Last year, Clanton Elementary was nominated as a School of Distinction to the Council for Leaders of Alabama Schools by Superintendent Jason Griffin. Clanton Intermediate School was one of only 50 schools in the state to be recognized for the previous year’s third grade Scantron Performance Series Reading Assessment in 2018. The school was awarded $20,000. Both CIS and Maplesville High School elementary grades added a house sorting, team building model in the 2018-2019 school year. Students are divided into teams (houses) across multiple grades and compete for points awarded for doing good. Each February Chilton County High School celebrates the acting and musical talents of its students with Blast from the Past. Students sing popular songs from past decades. Each song also includes choreographed dance parts or skits performed by students. Jemison Intermediate is the newest school in the system having opened in August 2017. Fourth-grade students at Isabella High School show off their talents each February during Motown performances. Sports is a highlight for Thorsby and Maplesville high schools with both having very successful teams during recent football seasons. 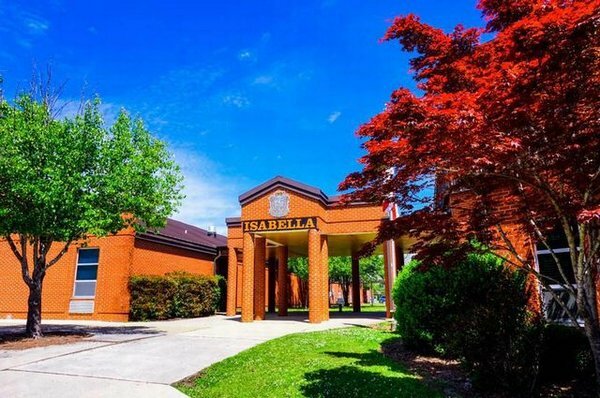 Maplesville High School, Thorsby High School, Verbena High School and Jemison Intermediate School each received Bicentennial grants in 2018 for remodeling and educational projects. The VHS project focused on preserving the school’s history and pursuing a designation as a historic landmark on the state historic registry. specialty areas, such as culinary or STEM. Chilton County High School also offers Advanced Placement courses. Preschool classes have been added at each school, except Thorsby through the state First Class preschool program. High school students have the opportunity to take a number of dual enrollment opportunities through the Chilton Clanton campus of Jefferson State Community College. The newest class added to the list of options is a year-long EMT Basic program. Many juniors and seniors in high school choose to pursue hands-on training and certifications in their field through programs at LeCroy Career Technical Center. The center offers everything from welding and automotive work to cosmetology and nursing. The center also houses the school district’s STEM Academy offering a variety of engineering, technology and robotics classes. 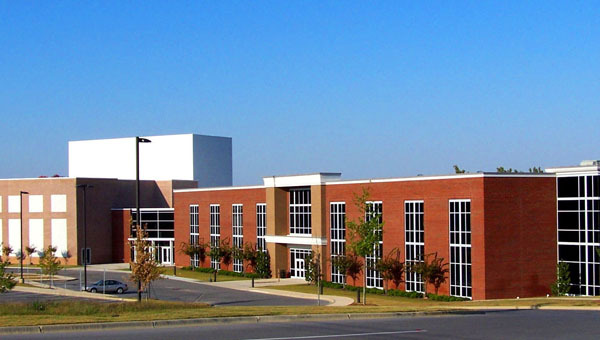 The Chilton—Clanton Campus of Jefferson State Community College was established in 2008 through a partnership between the college and the City of Clanton. The city wanted a conference center, and the college wanted to establish a campus in Clanton. The satellite location initially began with 62 students meeting in an existing building before the campus was constructed. Now, this one-building campus is 30,000 square feet and offers courses in required core subjects as well as fine arts and nursing. Several dual enrollment classes are also offered to local high school students. The campus celebrated its 10-year anniversary in 2018 with an open house and campus tours. More than 750 students take courses at the campus. More than 120 of these students are high school students taking dual enrollment courses. The 2018-2019 academic year saw the largest class of nursing students that the campus has ever had with 38 students. Each year English and history students work in groups to create a museum-style display of their work available for viewing by students, faculty and the public. The Clanton Conference and Performing Arts Center features a performance hall, which seats 608 people, a 13,000-square-feet exhibit hall with a catering kitchen and three classroom-style rooms ideal for trainings and conference breakout sessions. A wide range of events have come to the venue, including business conferences, local graduations, dance competitions, dance recitals, proms and wedding receptions. The Alabama Cooperative Extension System Beekeepers workshop is held there on an annual basis, and it has been booked for the Alabama Master Gardeners Association Spring Conference for 2019. Its proximity to Interstate 65 also makes it a convenient location to hold an event.